On the west side of Dufferin Street, just south of Bloor, is a Wal-Mart. It is (currently) the only one in the former City of Toronto. On the other side of Dufferin is Dufferin Grove Park. It is the very antithesis of Wal-Mart, a collective community creation that is an exemplar of neighbourhood engagement—public space of, by, and for the people. This is what summer in the city should be all about. Jonathan Goldsbie is a member of the Toronto Public Space Committee. 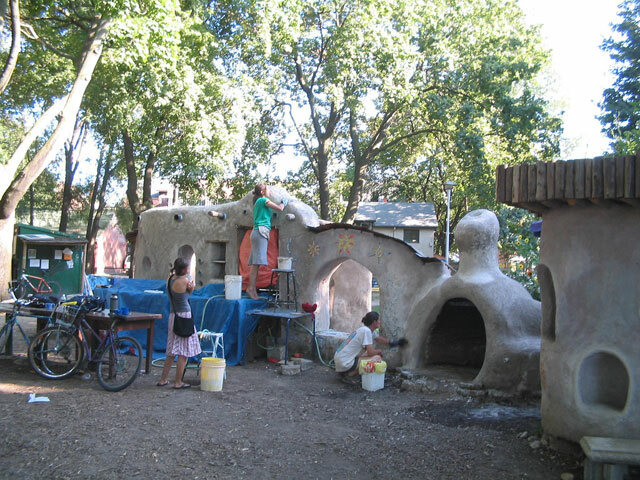 Photo of Dufferin Grove’s Cob Courtyard by orbz on Flickr.